Welcome! I’m Zehorit and I am passionate about flavorful, seasonal and healthy dishes. Cooking is how I express love to my family and how I welcome friends into my heart and home. Sharing the Mediterranean goodness I was fortunate enough to grow up with through entertaining and cooking classes is how I pay homage to my mother, the kitchen queen. Here - is where I share it all with you! Let’s roll our sleeves up and get cooking! No wonder I had doughnuts on the brain in my last post - Hanukkah was around the corner beckoning withe smell of all good things fried... 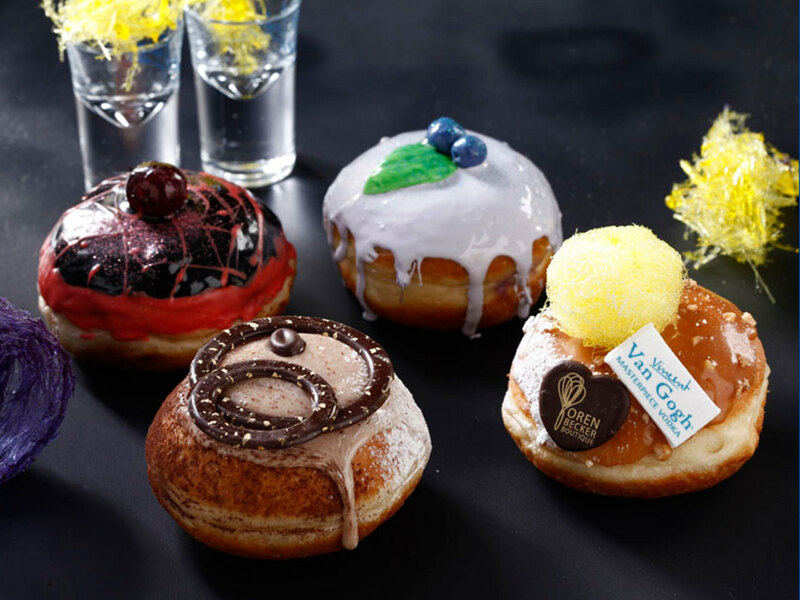 Growing up in Israel not only did we have latkes (which we called Levivot), but also Sufganiot. Soft pillows of fragrant doughy deliciousness, coated with snowy powdered sugar and filled with strawberry jelly, or if you were lucky - chocolate! Are you drooling yet? Carine Goren is a well known and much loved Israeli baking guru with her own TV show and multiple cookbooks. Here is an adaptation of her recipe that we all enjoyed on the first night of Hanukkah. A little elbow grease... BIG reward!! In a mixer bowl with dough hook attachment mix about half of the flour along with the yeast. Add milk, sugar, eggs, brandy and lemon zest and knead until a smooth liquid batter is formed. On low speed add the rest of the flour gradually, then increase the speed and knead for 5 more minutes until a smooth and shiny dough is formed. 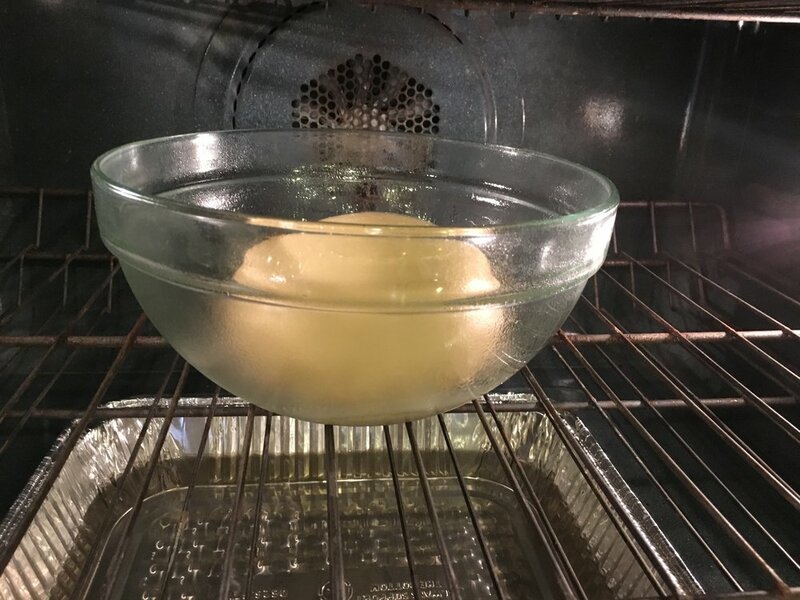 Place the dough in a greased bowl, lightly coat top of dough with oil to prevent drying, cover with plastic wrap or tea towel and let rise until doubled in size. Note: I created a proofing box in my oven by placing on the bottom a pan with boiling water and placing the dough to rise in that moisture filled warm part of my oven. Place the dough on a very lightly floured surface (you do not want the dough to dry out). 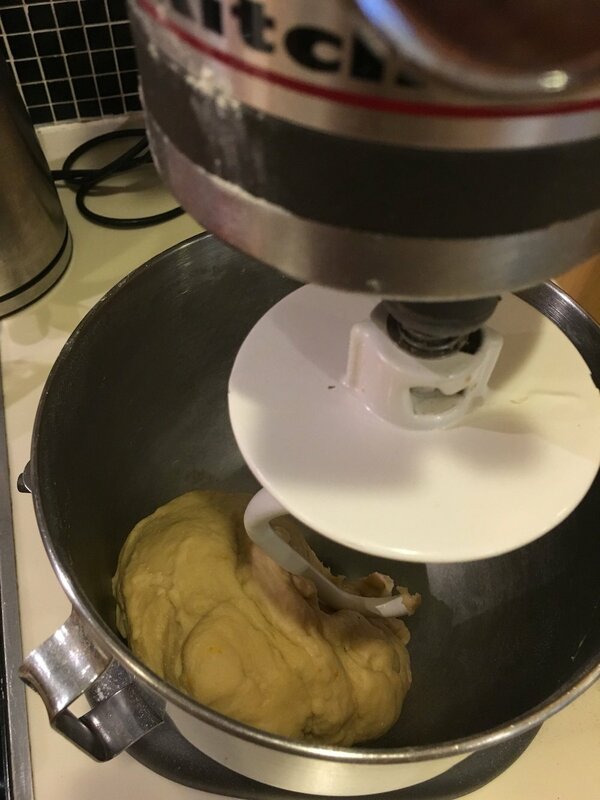 Divide the the dough into 16 equal pieces and roll each one into tight and smooth balls. Place the balls on parchment lined baking sheets, cover with plastic wrap and let rise until doubled in size again. Note: I returned the balls of dough to the oven and poured in freshly boiled water to recreate the heat and moisture. In a wide heavy pot, heat about 3” of the canola oil to 350F (using a candy thermometer). Fry the sufganiot 4-5 at a time, making sure not to over crowd them, about 2 minutes per side. 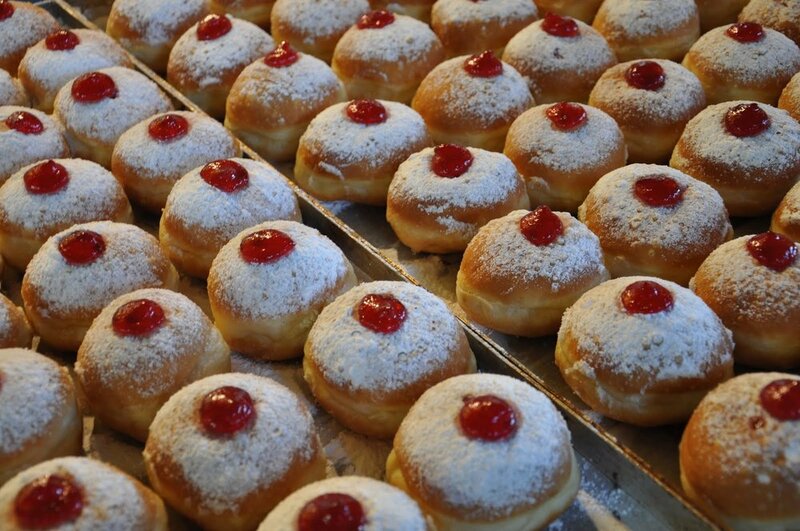 Remove Sufganiot from oil and place on paper towel to absorb some of the oil away. Cool slightly until easy to handle, inject with jelly and top with powdered sugar. Serve warm. Little crowns of Jelly! Yum! 1. While Sfganiot are still warm roll them in cinnamon sugar. 2. Either of these fillings can work as well: Nutella, Dulce des Leches, ganache, buttercream, custard. 3. top with ganache, caramel, etc. May this holiday season bring light into all of our lives and usher a year of peace. 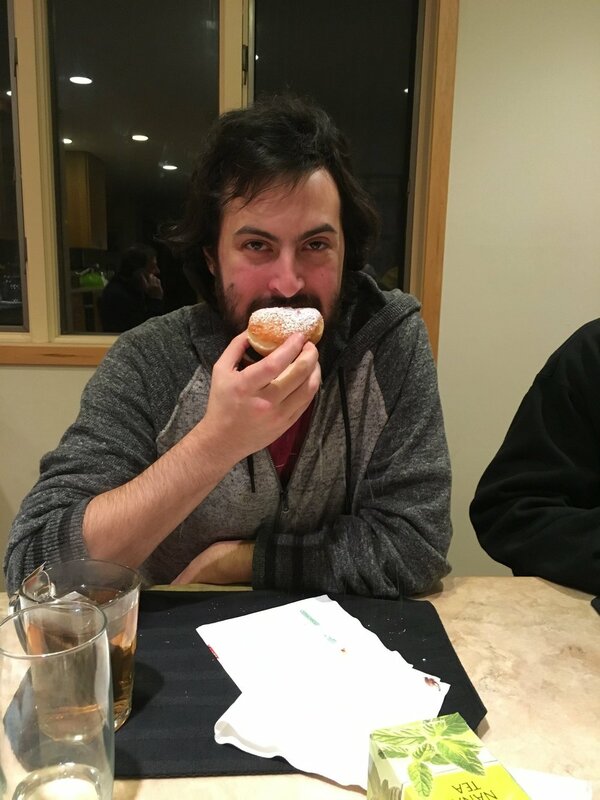 Doughnuts - the OTHER Comfort Food!